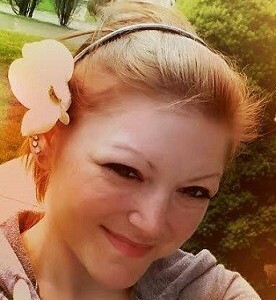 Sheena Marie Kuntz Hackett, age 34 of Landenberg, PA, passed away September 3, 2018. Sheena was living with her parents in temporary housing in Greenville, DE while their house was being rebuilt due to a fire. A longtime resident of Kennett Square, PA, Sheena was an incredibly talented and creative young lady. She loved arts and crafts, particularly drawing and she wrote beautiful poems and stories. Sheena loved spending time with her cousins, friends and family – especially at the family’s summer cottage on the Susquehanna River. Sheena was sadly predeceased by her baby, Lennon Stone Martin. She is survived by her parents, Patrick and Lisa Kuntz; her brother, Cody Kuntz; her grandfather, Joseph Engart; her aunts, Renee Mills, Lana Cornett, and Leslie McGuire; her uncle, Joseph Engart III and her niece, Eisley Fallon Kuntz. Relatives and friends are invited to visit with Sheena’s family from 11:00AM to 1:00PM on Saturday, September 15, 2018 at Kuzo & Grieco Funeral Home, 250 West State Street, Kennett Square, PA 19348. A Celebration of Sheena’s Life will follow at 1:00PM. Interment will be private. In lieu of flowers, Sheena’s wishes would have been to donate to the Juvenile Diabetes Foundation. Donations may be mailed in Sheena’s honor to the JDRF’s Eastern Pennsylvania Chapter, 555 Croton Road, Suite 111, King of Prussia, PA, 19406. Please share with us your fond memories of Sheena. I am so sorry for your loss. We send our deepest sympathies to your family. So sorry for your familiy’s loss. She was such a positive person throughout everything. You are in our thoughts during this difficult time. Love and hugs to you all. So sorry for your loss. I will keep you on my constant thoughts during this difficult time. I know she’s on good company now. I hope you find peace during this difficult time. So sorry for your loss Lisa and Pat :( Sheena was always cool with me never no problems remember back in day when we would hang out at Mary D Lang. May God be with you guys in this time and I will continue to pray for you. Sheena and I bonded over loss and found a way to comfort each other despite our differences. She gave light even when she had little to spare and saw the best in all situations. I am thankful for getting to know her these past few years. Thoughts, prayers and healing vibes for the hearts of her family and friends. ” I’m so sorry for your loss. Sheena always had a light about her that will be sorely missed. She has had a horrible disease that many people would not be able to handle it as well as her. I want to say SHAME to the Drs for not curing J.D. sooner. I and many other people will miss this beautiful woman who’s life was cut off as soon as it started. My memories of her will always have a place in my heart. Rest in Peace Sheena. Suffer no more. Our deepest sympathy to you and continued prayers for all of you. Such a beautiful daughter and a wonderful family, hold tightly to all the love and memories you have together. Sheena was a very nice child when I taught her at Mary D. Lang School. She had a very supportive family. It was heartwarming to know that they cared so much. After having read what Cody wrote about Sheeena, I know that she was surrounded not only by loving parents, but also a loving brother. His devotion to her was remarkable. She was blessed. She did not die alone. My deepest heartfelt sympathy is sent to you. Dear Lisa, I am so sorry to learn of Sheena’s passing. I will always remember her as a fun loving student at Mary D. Lang. With sympathy and prayers, Elaine Fiore. I am so shocked at the news of your sweet daughter Sheena.I also worked with Sheena at LFR.She was alot of fun especially when 6 of us all went to a concert together. Please know you and your family are in my prayers. The family is in my prayers. I worked with Sheena at Longwood Restaurant. She’s always made me laugh and had a big heart! I am so glad that we met and and had funat a Def Leppard concert. RIP Sheena!